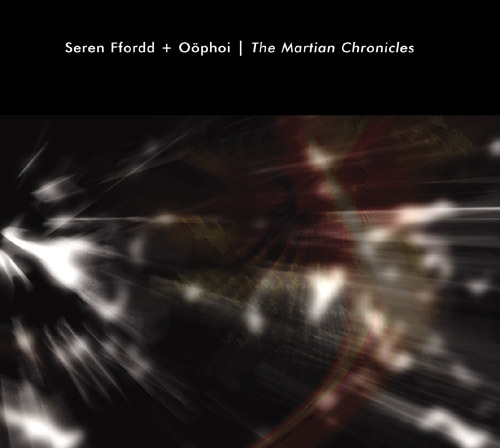 science fiction film that exists only in the imaginations of Seren Ffordd and Oöphoi. and beautiful mixture of electronic instruments, field recordings and percussion. (real name Andy Benford) is Welsh for Star Road, Way of Stars or Milky Way. One additional note regarding a special deal on this album. With our last release, we experimented with a special low price for the first week of release, and it was a big success so we'll try it again. 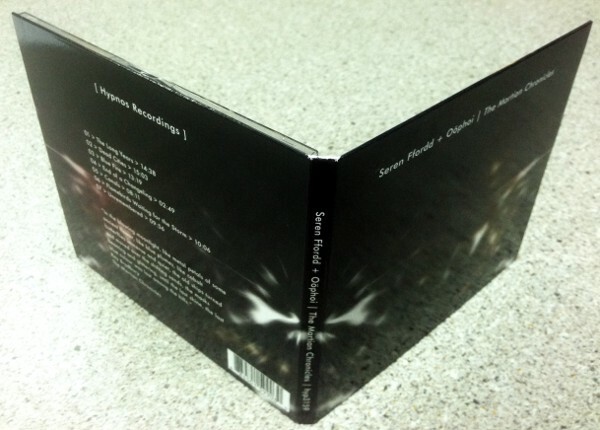 Our regular price will continue to be $12.99 for new Hypnos releases but through this coming weekend, Sunday October 9 this CD will be $8.99, only through the Hypnos store. If we continue to have success with these special deals, not only will our listeners save almost 1/3 the usual price, but they'll encourage us to continue this discount with future releases. Incredibly stoked for this. And right on the heals of 'Il Silenzio di Dio' too. Can you say: multiple eargasms?! I think I may have set a record for "fastest ordering of a new product on a website" for this one! I'm really pleased to see it out. Thanks to Mike for everything needed to get it there. Samples sound superb! Love the artwork too, been waiting for this release for ages, really looking forward to it! This release was delayed longer than most, and I have to thank the artists for their patience, as well as those of you who have been anxious to hear it. I think it's a fantastic album, and due to the above-mentioned delays I've had a chance to listen to this album man, many times! Gigi has asked me to let everyone know that he is very proud of and happy with the release of the album - and he would love to respond to the excitement and positive comments here and elsewhere. Unfortunately his health is not good at the moment and he is undergoing a course of chemo which he is finding very debilitating - but he said he will do his best to be here as soon as possible. All my best wishes for a full and speedy recovery. Yes, all the best wishes for a speedy recovery. hope he will be okay. Healing vibes going out to Gigi at this time. Hope he is OK. The Martian Chronicles arrived in my mailbox last night and this is an utterly fantastic album. 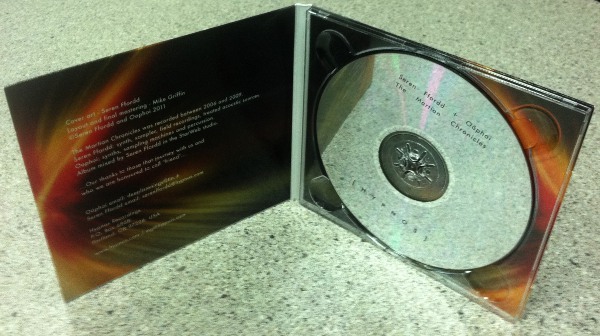 Fans of (as I am) the Oophoi/Tau Ceti masterpiece "Celestial Geometries" from about 10 years ago will definitely be well pleased for this sonic journey back to the red planet. My review to follow soon. The short version: 5 stars out of 5. As always, Gigi, keep on fighting... ...!!! Our fingers are crossed for you, our dear friend!!! Prayers, positive thoughts and healing vibes coming your way Gigi. I've been listening to The Martian Chronicles for the last two days now. Really a good release! Nice job Andy and Gigi. the thread includes some comments on a joke I made on another thread .